Ask any winemaker, and they’ll tell you that while you can make poor quality wine on great land, you absolutely cannot make great wine on poor quality land. This way of thinking, led by a deeper understanding of and desire for expression of terroir, has caused vintners all over the world to reappraise their approach, and seek out the best possible vineyards for them to work with, nurture and sustain. This is certainly true in the case of Vina Ilusion, a Spanish winery set up in 2013, which strives to bring 100% organic and permaculture-driven viticulture to the grand landscapes of La Rioja. Vina Ilusion is a rarity in Rioja - a smallish vineyard, certified organic viticulture and a focus on the fruit of the wine rather than the smoky oak. This is no wilting daisy, however - expect plush, textured red wine full of pepper, liquorice, bay leaf and plenty of dark fruits. 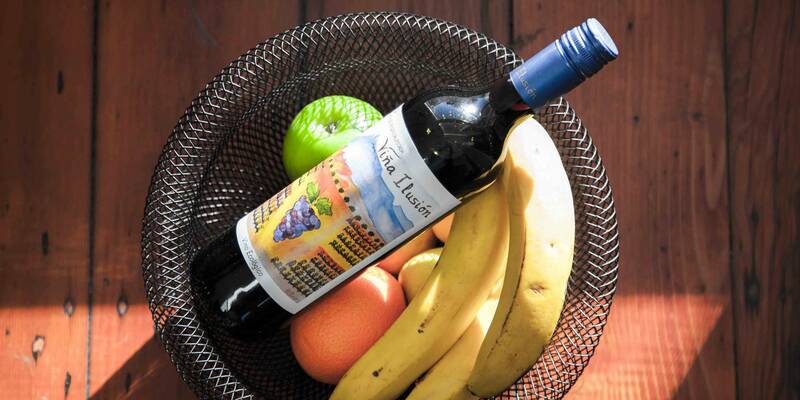 There's a chariness to this wine that just cries out for barbecue or grilled meats. The fruit has a depth and a density that is rare, but with beautifully balanced acidity that means you'll be reaching for another glass in no time at all - special stuff. Vina Ilusion is a rarity in Rioja - a smallish vineyard, certified organic viticulture and a focus on the fruit of the wine rather than the smoky oak. 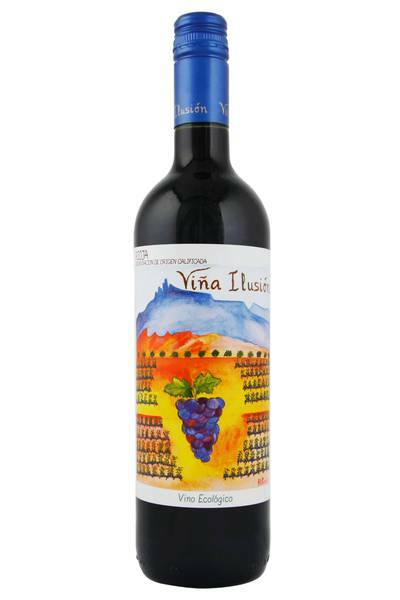 Natural tempranillo wines such as this one from Vina Ilusion pack in plenty of flavour and tannin, and as such call out for quite rich, fatty foods to provide balance and to absorb all that power. We’re talking game meats like rabbit, barbecue beef, short ribs, sausages of all kinds, veal, and rustic, cheaper cuts of pork like shoulder. It’s a meat lover’s wine, for sure, and works best when paired with meats cooked in plenty of herbs, like herbs de provence, rosemary, and thyme. Tempranillo likes hearty, rustic foods with loads of umami flavours - so vegetarians should look for rich mushroom dishes, lentil one-pots and dishes featuring soy sauce or black bean sauce.